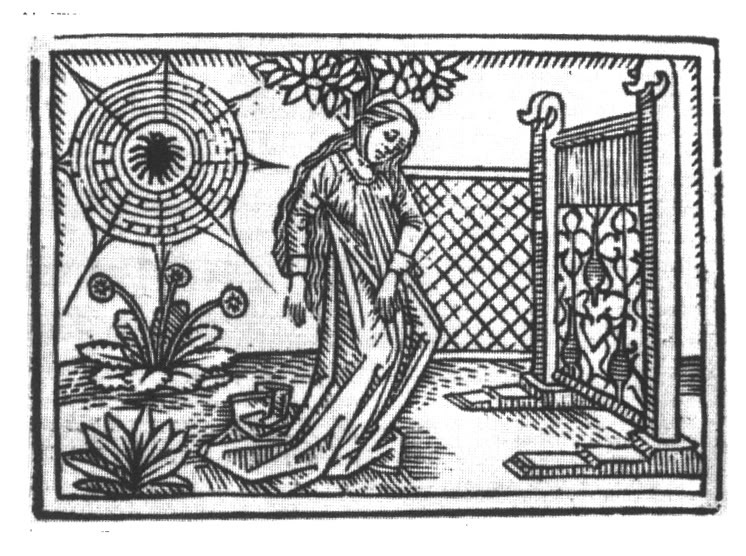 Long long long time ago, there was a girl called Arachne and she was a really good weaver ad spinner. People around the world came to see her cloth.She was really proud of herself. She said she was better at spinning and weaving than the goddess Athena was. Athena was also a good spinner and weaver and she was mad at Arachne. 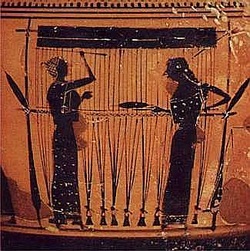 So she challenged Arachne to a weaving contest. They had to wove from early in the morning to dart at night and they would compared whose was better. Athena had woven a beautiful cloth of good thing about gods and goddesses.but Arachne thought she was smart she had woven bad thing about gods and goddesses: they are drunk and making mess of things. but in fact she did better than Athena.so Athena was really angry. She pointed her finger at Arachne, then Arachne became weird, she became a spider( Arachne means spider in Greek)." You want to spin, GO AHEAD AND SPIN!" Athena cried.